For our ten-year anniversary, my wife signed us up for a marathon. A chance to run together, to train together, maybe even suffer a bit together. And to remind ourselves what it feels like to push our bodies to the limit. We have crazy lives at home, so why not add a marathon to the mix? My wife had the best of intentions, of course, but I wondered about our ability to run like we used to. How were we supposed to train for a marathon with 4 kids under 10 years old? Back in our 20s, my wife and I used to do a lot of long-distance running together. Actually, that’s how we met: she was training for the New York City Marathon, and I was training for the Philadelphia Marathon. We met at a graduate school pizza party at the Princeton Grad College Quad, and we’ve been running together ever since. 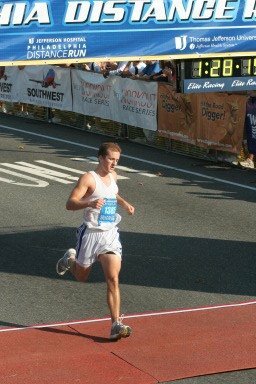 I rocked my first marathon at Philadelphia in 2005, running a 3:09 (7:13 pace), qualifying for the Boston Marathon on my first try. 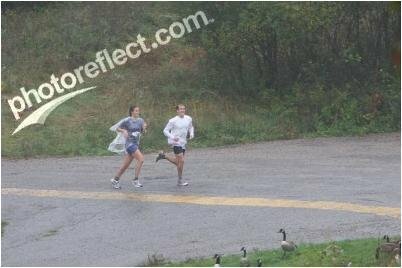 My wife and I had a blockbuster year together in 2007, completing 2 half-marathons, 2 marathons, and 2 ultra-marathons (50 milers). We felt invincible. But it’s been years since I’ve been in that kind of shape. I haven’t run more than a half-marathon and a few 5K races since our oldest son was born in 2009. It makes sense: there just aren’t enough hours in the day to train effectively. After kids #2, #3, and #4, there’s very little time and even less energy to go around. Also: How are we supposed to go for a 20-mile long run with 4 kids at home? That’s a serious question, not a hypothetical. We started training in May for our race on Sept 30th. 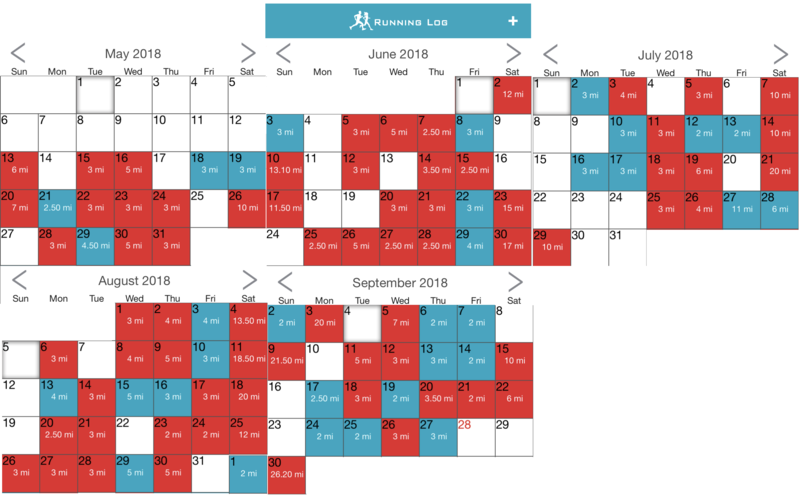 We mapped out weekly long runs and planned our schedule to ramp up to 26.2 miles. I admit: I was skeptical and downright anxious when my wife signed us up. We aren’t young chickens anymore. I can’t go out and run a 20-miler like I used to. I kept thinking I would get injured — IT band, most likely. I didn’t think we would have the stamina, durability, or wherewithal to make it. I was worried that the training might push us past our limits and eventually break us, with everything going on in our lives. But, at least we’d have fun trying. 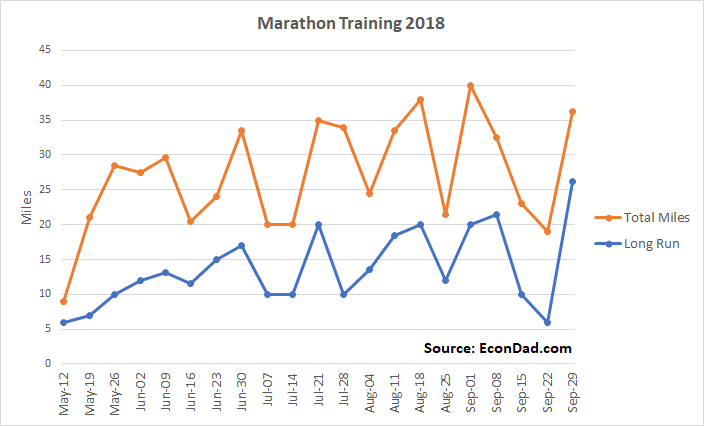 Ramit Sethi likes to say that “people would rather say that they’re thinking about getting in shape than actually go out and run a few miles.” Saying that you’re going to train for a marathon is very different than actually training for it. I remember going for a run with my parents and sisters in May and revealing that my wife and I had signed up for the race. At that point, I thought, “It’s put up or shut up,” because now I was verbally committed. In truth, though, I had plenty of time for excuses to back out if I wanted to. 3. Avoid injury. A top priority of mine was avoiding injury. I bought new shoes 2 times during the training to keep them fresh. I slowed down when some mid-30s aches and pains started to creep in. I pulled back when the going was tough, in situations where my younger self would have pushed through. 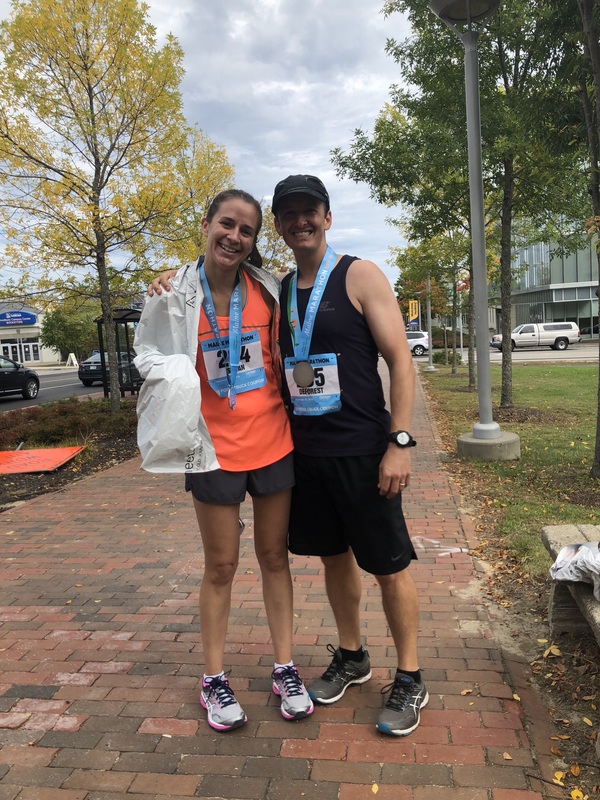 My wife battled a hamstring injury about halfway through training, which slowed her down, finishing just two 20-milers along the way. Overall, we did pretty well avoiding serious injury by increasing mileage steadily and paying attention to our bodies. 4. Get babysitters. Regular readers knew this one was coming. The most critical part of our plan was getting weekly babysitters for our long runs each weekend. Talk about Embracing The Morning Date. Think about this: at $20-25 an hour — which is what we need to pay to get experienced babysitters who can comfortably handle 4 kids without the TV — times 4 hours for 25 weekends: that’s a legit $2,000 – $2,500 budget for training. It’s cheaper than a fancy vacation, I guess. 5. Go Slow. We weren’t trying to break any records. We didn’t do any speed work or track workouts. We didn’t try to go faster than our bodies could handle. We usually averaged around 10:00-10:30 pace on our long runs, including some walking miles. In retrospect, given how race day played out, this one might have been a mistake. I probably would have benefited from more tempo runs and speed training. So, with the plan in place, we were on our way. Training for a marathon requires more than just inspiration: it also requires putting in the work. Thankfully, we had the will to train and a commitment to each other to do our best. Here’s what my daily mileage looked like over the months (red days = run, blue days = walk / run). My wife was, thankfully, still talking to me even after I posted pictures of our messy kitchen the week before — a risky move for a suburban spouse that could have spelled marital strife on race weekend. But, she just laughed about it, and we left together in good spirits for the weekend that we had been planning for months. We departed for Maine on Saturday morning, leaving our kids with my mother-in-law and our nanny who was pitching in for the weekend. We laid out the schedules for soccer, gymnastics, and math — which were luckily the only weekend activities for the kids (we did a good job streamlining activities this year!). And we were off! We drove up the coast and had a nice lunch together at a Massachusetts beach town. 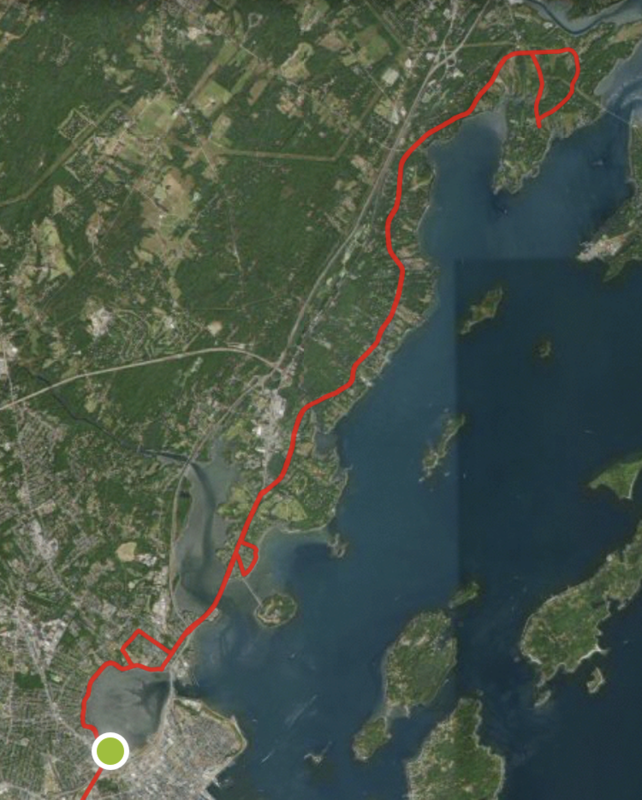 We arrived in Maine and went to the Race Expo in the afternoon. At the Expo, I tried to win a casual (but serious, at least to me) 100-meter dash event on the Nintendo Power Pad. I figured that I would have a huge advantage as a child of the 1980s, but I couldn’t get down to 6 seconds, which was the fasted time of the day, posted by “Holly,” who quickly became my arch nemesis. The best I could do was 7 seconds, which wasn’t enough to catch Holly but struck me as a pretty strange 100-meter dash time. I’m not sure who calibrated that video game in 1988 but he / she was definitely not a runner. After the Expo, my wife and I decided to go see a movie – Crazy Rich Asians – which was good and quite relaxing. After we were done, we were saying: “Damn, we still have a few more hours to kill. This must be what it’s like to have no kids. What do you want to do next? Whatever we want to!” We missed our kids, of course, but were reveling in our unusual freedom. We had a nice dinner, full of carbs, and then relaxed at the hotel for a good night sleep for race day. We woke up to perfect weather. It couldn’t have been a better day. 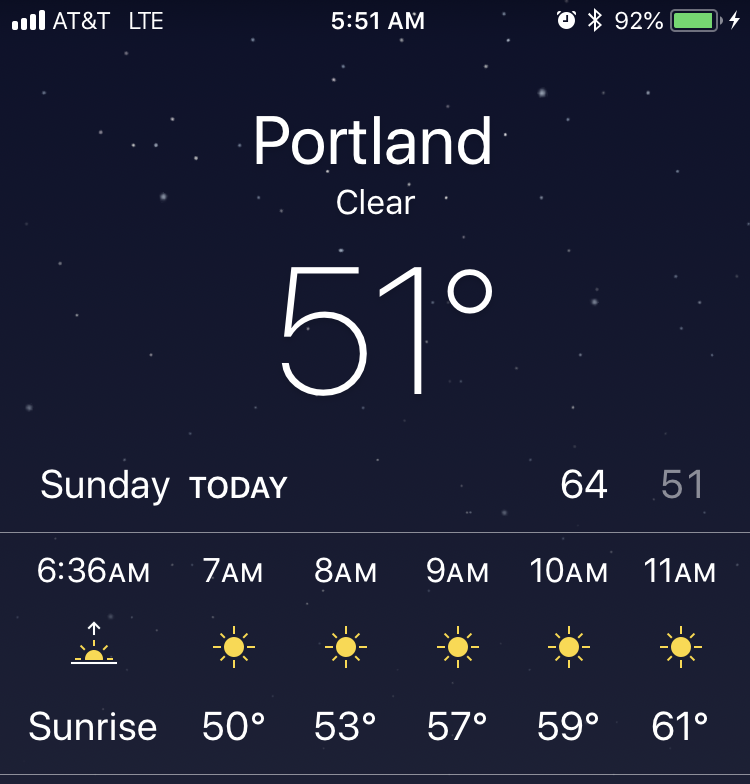 High 50s, low 60s, clear skies. It was ideal. 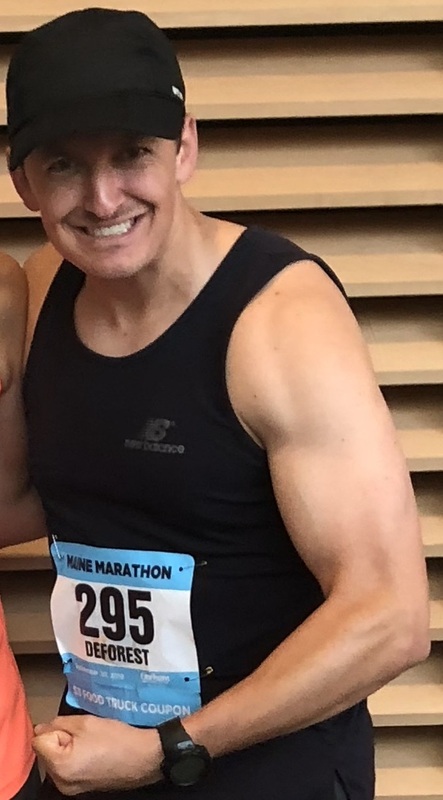 Before the race, I thought I might be writing this article about how I completely crushed it, despite being older and balancing marathon training with career and family responsibilities, but the race didn’t quite turn out that way. Let’s just say it was a bit tougher than I expected. Miles 1-6. We started out fast. Too fast, in retrospect. We hit the first mile at 8:00, second mile at 16:00, third mile at 24:00. 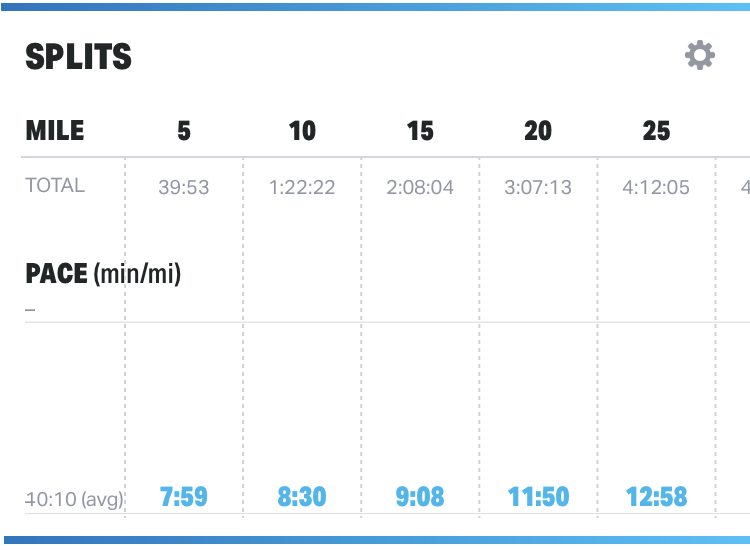 I averaged 7:59 pace for the first 6 miles, which was my fastest 10K of training. I felt good, but I should have known better. 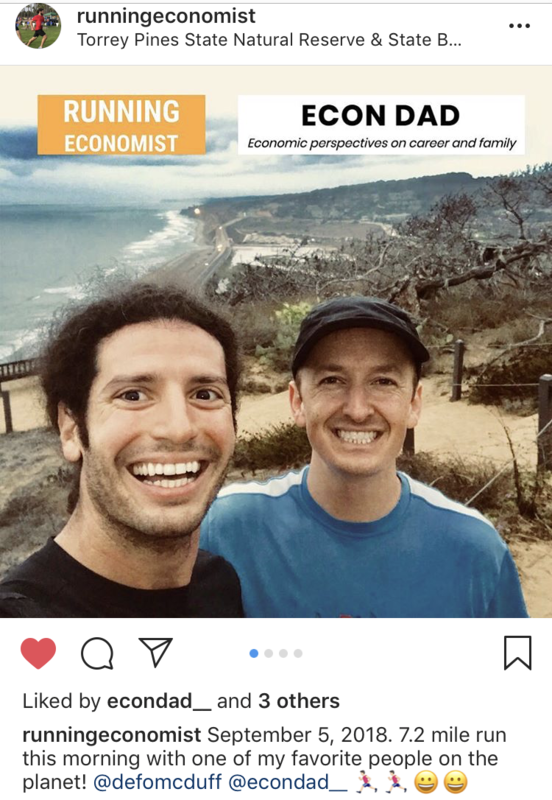 (Aside: I randomly spotted Princeton economist Hank Farber in the crowd watching the race, and exchanged a few emails with him afterwards — small world!). Miles 7-12. I was still cruising for the next 6 miles, but had some early warning signs of tough roads ahead. My legs started to get weaker, and I had to take a few breaks. By mile 12, I knew I was in trouble, because I was hitting the wall that I shouldn’t have hit until at least mile 18. Average pace through 12 miles was still below 8:30 minutes per mile. Miles 15-18. 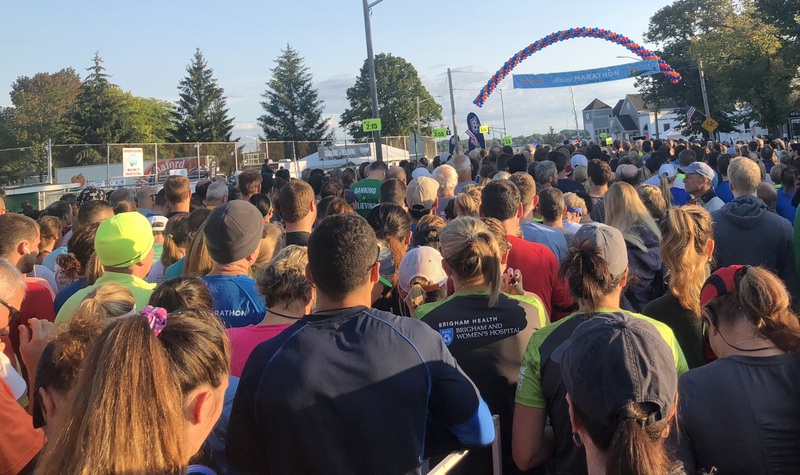 Starting in mile 15, there was no more regular running for me — every time I tried to run (which was often, every quarter-mile or so), my legs would cramp up and cause immense pain. It was, without a doubt, the hardest and most painful 12 miles I’ve ever done. And that includes the two 50-mile races I completed. This time, I was mentally tough but physically demolished. Damn those first 6 miles. Miles 19-24. At least I’m a fast walker, even with shot legs. Just ask my college roommate, who refused to walk to class with me after our first day of walking together. Instead of averaging 15 minutes a mile, I was walking at 12-minute pace. I calculated that I’d be finished by 4:30 if I kept up the pace. Around mile 19, I synced up with another runner named Joe. He had on a finisher jersey from the 2017 Comrades Marathon, a 55-mile ultra-marathon held annually in South Africa. It’s a notoriously brutal race. He told me that, not only did he run it in 8 hours, 8 minutes, which is ridiculously fast, but he did it at age 68! Man, was I feeling weak when he told me that. He and I walked and chatted for the next 4-5 miles. It turns out that he’s run >300 marathons + ultras and is one of the most fit 68-year-olds I’ll probably ever meet. That’s what always happens in marathons: just when you think you’ve hit rock bottom, someone 20 years older than you or 30 pounds heavier than you passes right by. Miles 25-26. I’ve never gone slower in the last two miles of a race than I did on Sunday. I couldn’t even run the last half-mile — that’s how much I was hurting. I had to walk it in among crowds of screaming fans, which was a nice helping of humble pie. It turns out that I’m not invincible after all. Who knew? My wife finished the marathon in 3 hours, 58 minutes (9:05 pace), which is pretty darn good given her injury in the middle of training and insane work schedule. She and I parted ways when I started slowing down around mile 8. Initially, I thought I might catch up to her after I slowed down and caught my breath, but my shot legs made sure that didn’t happen. She said she had a similarly difficult 2nd half, but I can’t imagine it was as painful as mine (or, at least, I hope not). Ultimately, we went the distance and finished the marathon. 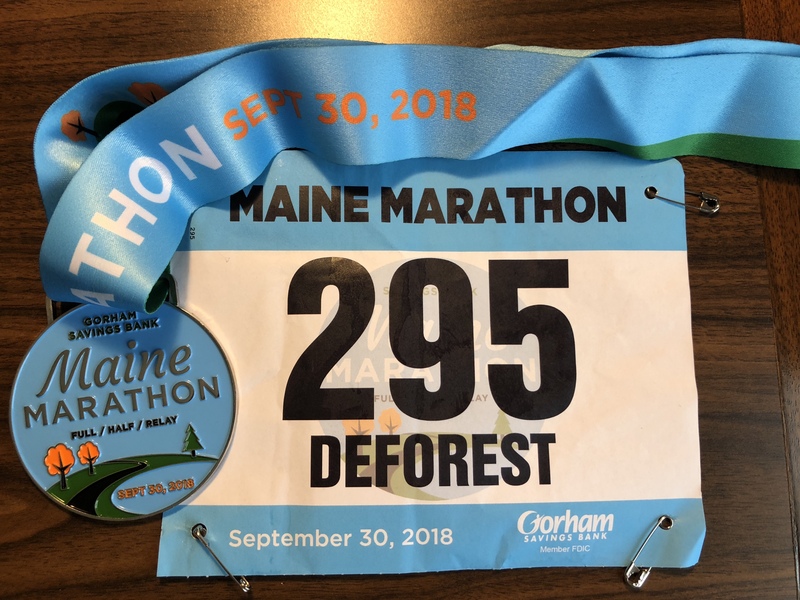 We had a great time, enjoyed a beautiful Fall weekend in Portland, Maine, and proved to ourselves that we can still run a marathon. It feels good to have pushed my body past its limit. Completing the marathon fits with our family mantra: McDuffs can do anything! Even Mom and Dad, especially if we throw enough focus and babysitters at the issue. It was fantastic to feel stronger and healthier over the course of the training. And I think it was fantastic for our relationship, too. I was damn proud of finishing the race on Sunday, even though it took me over an hour longer than it did ten years ago. The race itself wasn’t exactly enjoyable — to the contrary, it was quite painful — but it was meaningful. A good metaphor for life and parenting, maybe. Despite the challenges, I’m proud to have trained for and finished my first marathon in more than 10 years. It seems that pride actually does, in fact, outlast the pain. For now, I think I’ll take a break and hit the weight room for wintertime. My knees need a rest from the weekly long runs. 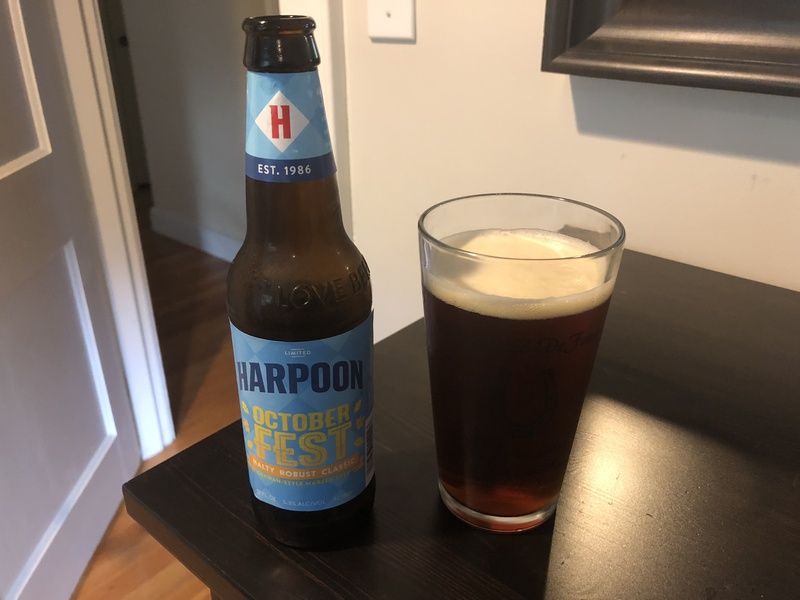 But, like all runners who are addicted to the runner’s high, my wife and I were already talking about “our next race” on the drive back to Boston. Anyone interested in running–and life–should read this issue. Here are my descriptive words: Engaging; Personal; Loving; Insightful; Instructive.